At Emerald City Pirates we specialize in providing special event boat charters and rentals in Seattle, Washington, and the surrounding area. Seattle, Washington is home to many special events that take place throughout the spring, summer and fall months. Some of the major special events include the Opening Day Parade (first Saturday in May), Seattle Seafair (Mid-June), 4th of July, University of Washington Huskies tailgate for home games (beginning in August), and Halloween. We are located in South Lake Union and regularly sail on Lake Union and Lake Washington. Our ship ‘The Queen Anne’s Revenge’ is the only full-time pirate boat in Seattle. It is 50 feet long, and custom built to US Coast Guard specifications. We can accommodate up to 49 passengers for private charters and rentals. Seattle Seafair is a local tradition dating back to 1950. In min-June of each year, the community gets together for a number of local and city-wide events and celebrations. A few major highlights are the Torchlight Parade & Run, Seafair Cup Hydroplane races, and of course the Blue Angels. Each summer, thousands of spectators line the shores and docks of Lake Washington to take in the activities and enjoy these awesome events. 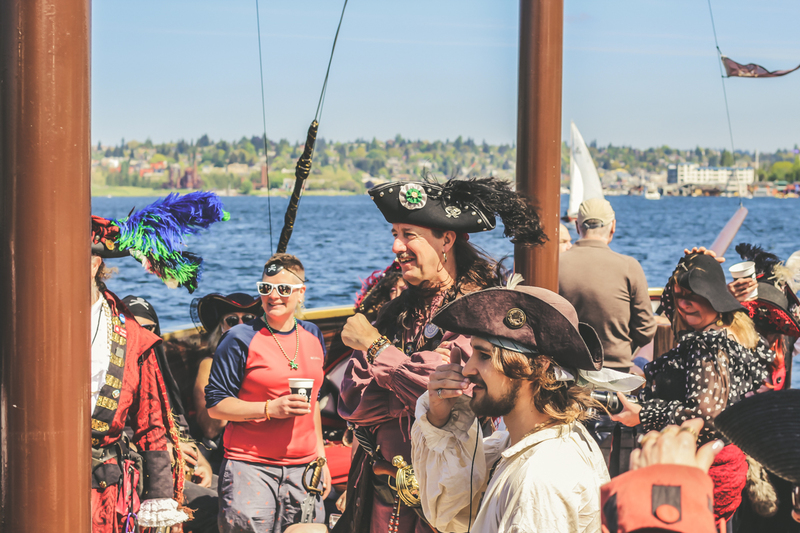 A great way to truly enjoy Seattle Seafair while making a big splash and awesome impression is by chartering our pirate ship – Queen Anne’s Revenge. Our pirate boat is a unique attraction that will definitely turn heads and be a conversation starter. We can accommodate up to 49 people to enjoy the festivities. Our boat can dock in ideal locations, with great views of the festivities and events. Emerald City Pirates also has catering partners that can handle all food and drink requirements, but you are also more than welcome to take care of that yourself. We have access to entertainment vendors including DJ’s, to make your festivity even more lively. Our customer service and staff are top notch, and can surely make Seafair an even more enjoyable experience for your crew! For information on renting / chartering our ship for Seattle Seafair call us at (206) 639-8689 or fill out our contact form. On the first-Saturday-of-May, Seattle residents celebrate the Opening Day of boating season in a festive manner. This tradition has been going on since 1920 and is an incredible site to witness. The day starts off with regatta crew racing with men’s and women’s crew teams from the University of Washington Huskies competing against a variety of other universities including Cambridge University, and Stanford University. Crew teams from across the world and even the fire department get into the spirit as well. Once the races are done, the cannon fires, and it begins the Opening Day parade filled with boats decorated from head to toe. The parade showcases the best of the best in Seattle, and the surrounding area and is a great event to witness. Emerald City Pirates offers private charters and rentals of our amazing Pirate Ship – Queen Anne’s Revenge for the Opening Day Parade and festivities. Imagine celebrating the start of boating season sailing on a one of a kind 50 foot Pirate Ship (the only full-time Pirate Ship in Seattle). We offer amazing views of the boat parade on Lake Washington. To complete the day, we have awesome options for catering and entertainment. Be one of the talks of the town, and the bring your party to life by reserving a private charter with us to start the boating season. To book Emerald City Pirates for Opening Day festivities simply call us at (206) 639-8689 or fill out our contact form. The University of Washington Huskies has a great following of locals and alumni in Seattle, Washington and far beyond. They sure love football and their university, as do we! Tailgates are generally land dweller affairs where you park, grill, drink and throw the football around while rooting on your team around fellow fans. At Emerald City Pirates we wanted to put a twist on the traditional University of Washington Huskie tailgate — Pirate Style! On any home gameday, you can charter our ship – Queen Anne’s Revenge (equipped with the UW flag), and produce the ultimate tailgate. We can meet your merry band of UW Huskies at any location around South Lake Union and Lake Washington. You can then board the ship and we will sail right to Husky Stadium for the ultimate unique tailgate experience in style! Our private charters are BYOB, and you can cater your own food or use one of our catering partners. We believe cheering on the Huskies has never been more fun! To reserve Emerald City Pirates for your ultimate UW Husky tailgate simply call us at (206) 639-8689 or fill out our contact form. Halloween parties are some of the best events around. They combine dressing up in costumes and celebrating with friends — you can’t really ask for too much more! 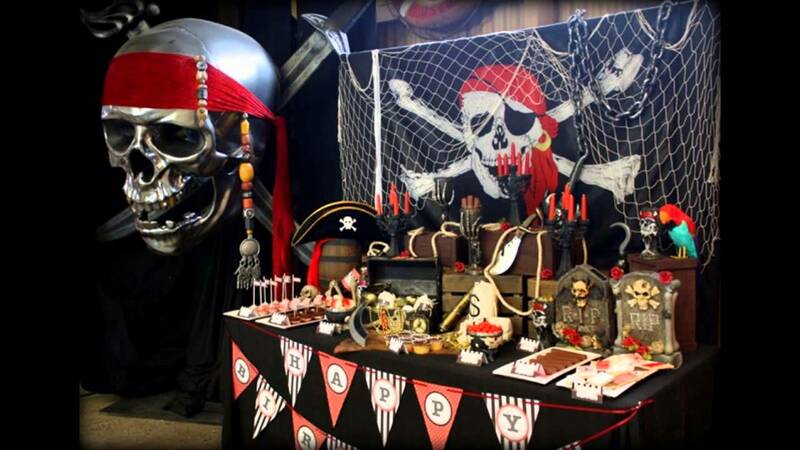 Our Pirate Ship – Queen Anne’s Revenge is a perfect location for your private Halloween party for your friends, family, company, or clients. Imagine sailing along Lake Washington and Lake Union aboard a fully fitted Pirate Ship equipped with water cannons and a merry crew of Pirates (all dressed in full gear). There are some great ideas one could come up with such a Zombie Party Cruise, or a Cruise of the Dead, or just use our Pirate Theme for a great fun time. 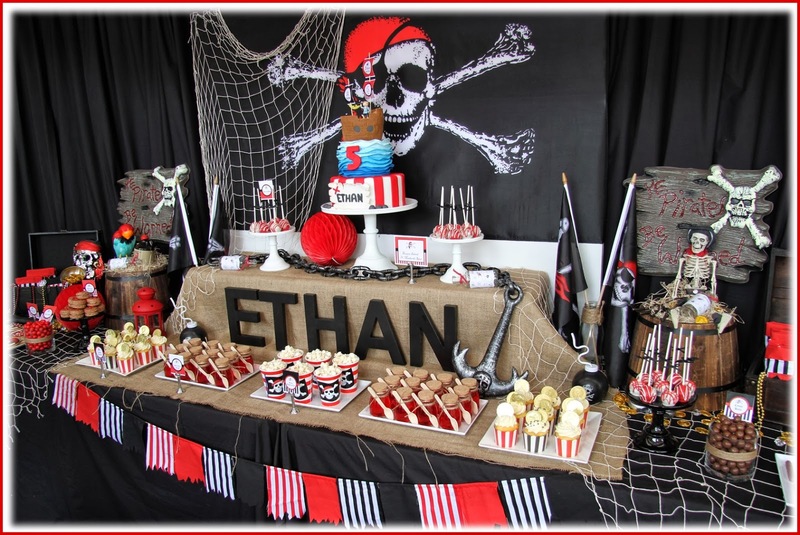 Our pirate ship can hold up to 49 passengers, and we have catering and entertainment options available. To rent our ship for your Seattle Halloween party simply call us at (206) 639-8689 or fill out our contact form.